Does your kid want to play with unicorns? You should check out the upcoming Toy Fair in New York, where toy makers are converging with the latest-and-greatest augmented reality technology that brings once-static games, books and toys to life. With augmented reality, a kid viewing a book or game though an iPhone,(s appl) iPad, web cam or other connected device, will see and hear animated characters that were once flat on the page. The proliferation of these products shows that augmented reality, a technology which has a conference of its own, is going mainstream as more people carry smartphones, are always connected and want the latest and greatest experience. San Francisco-based Nukotoys will be on hand to show off NUKO trading cards, which pop with animated monsters when viewed through an iPad, iPhone or iPod. The Monsterology cards, now in beta, will let kids collect, trade, train and play with 3D unicorns, cyclopses and sea serpents, the company said. Other AR-adopting toy makers include WowWee, which is using the technology in its new Appgear line shown at the London Toy Fair last month. 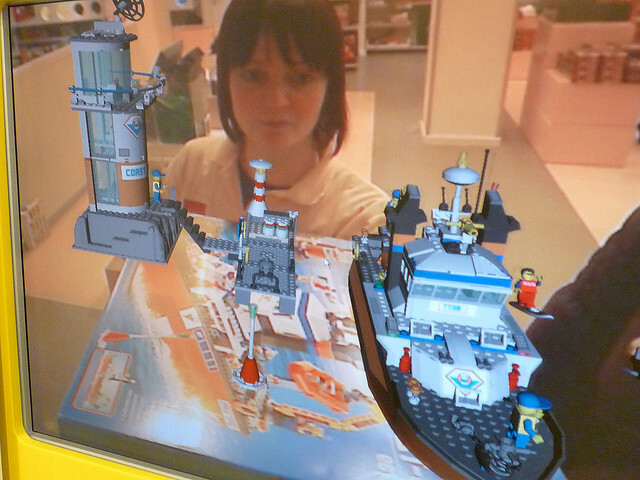 And perennial fan favorite Lego is using AR in its Life of George game and in some of its product packaging. There are many potential uses for AR. Hewlett-Packard (s hpq) was on the road at this year’s Consumer Electronics Show (CES) and other venues showing off Autonomy’s Aurasma for retail and other applications. Bodymetrics demonstrated an AR fitting room at CES; some realtors are using AR to make house listings more compelling. With more than 184 million iPhones on the planet, plus all the other iPads and smartphones out there, the addressable audience for AR goodies will only grow as will applications beyond fun and games. Looking forward to hear more about these toys at the Toy Fair 2012. Looking forward to hear more about these toys at the Toy Fair.